With a $15 million renovation in 2014, The Huntington Hotel features a unique venue for small groups, meetings, and events for 10 to 75 guests. 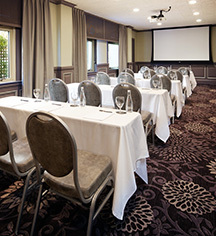 The hotel offers four intimate meeting rooms, covering 1,700 square feet. Additional event space is available, adjacent to the hotel with the Masonic Center and Grace Cathedral. Perched atop Nob Hill, one of San Francisco’s most iconic neighborhoods, The Huntington Hotel is the place to meet. Unexpected yet welcoming, each event space is designed for comfort amidst a setting of elegant, modern luxury. 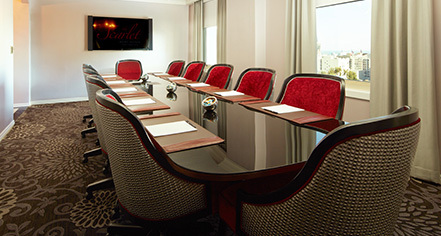 The meeting rooms are bold, yet intimate; each with an identity all its own. New furnishings and a bright palette lend a contemporary vibe to an inspiring setting rich in San Francisco history.